In what has been described as the biggest-ever East investment in a European club, Italian football club, AC Milan has been officially sold to a Chinese consortium, Rossoneri Sport Investment Lux for €740m. Representatives from both groups met in the morning in a Milan law firm and signed the documents which hand over the ownership and management of the club to the consortium headed by businessman Yonghong Li. A statement read, “Fininvest has completed the sale of the entire stake owned in AC Milan – equal to 99.93 per cent – to Rossoneri Sport Investment Lux,” the statement confirmed. “The closing is the last step of the purchase agreement signed on August 5, 2016 and renewed on March 24 by Fininvest CEO Danilo Pellegrino and David Han Li, as a representative of Rossoneri Sport Investment Lux. “The terms of the agreement are the same as disclosed in August and reflect an aggregate evaluation of AC Milan equal to €740m, which includes the club’s indebtedness, equal to €220m as of June 30, 2016. 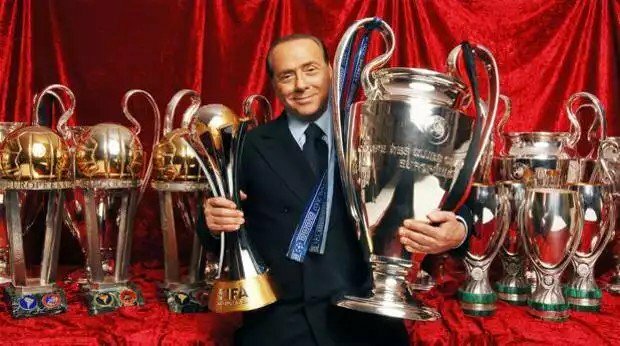 ”A €90m refund for AC Milan’s running costs anticipated by Fininvest from July 1, 2016 hitherto adds up to the evaluation. The Serie A club have won eight league titles and five European Cups. NextDidier Drogba signs with Phoenix Rising as player and executive. Meet the 30-men vying for the 2016 Ballon d’Or award.